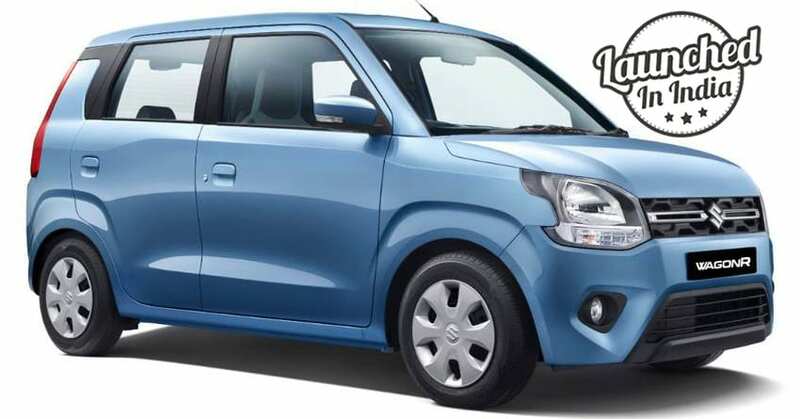 2019 Maruti WagonR has been launched in India for a starting price of INR 4.19 lakh. The car is using an MPV-style rear end with tall Volvo-inspired LED lights and an impressive glass area. 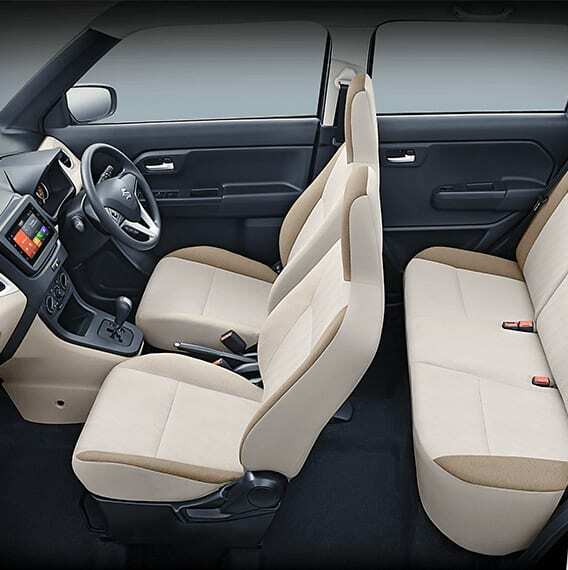 Most cars of the compact segment are sacrificing the glass area from all sides but WagonR stays true to its origin and offer impressive glass section for airy interior feel. 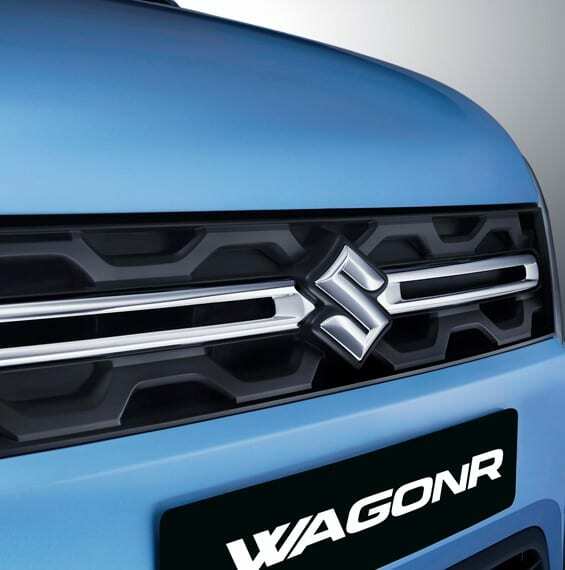 The front lights are seen with a similar curve, scrapping the idea of using sharp dual barrel units seen on the international model that was earlier expected to be the India-spec WagonR. The floating roof design is visible only from the rear as a black piece breaks the contact between C-pillar and the roof from the outside. On the front side, the pillar and ORVM panel stays body-coloured. 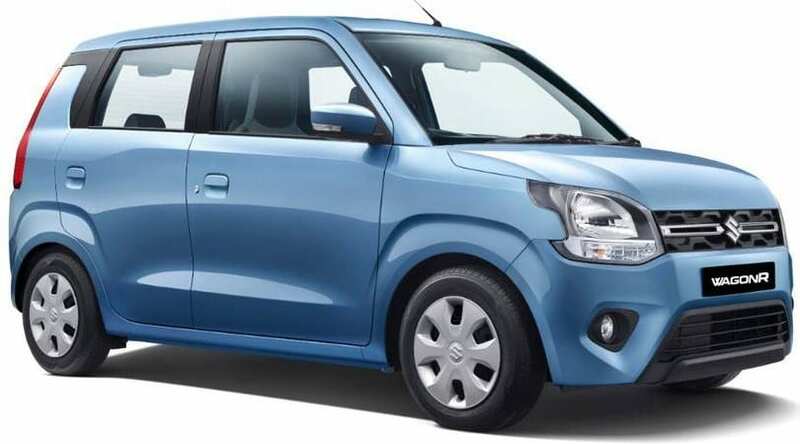 The rounded edges make India-spec Maruti WagonR different from not just the international version but also from the current generation model. The curve in the bonnet seems to appear due to more emphasis on pedestrian protection. The design inspiration for WagonR can be seen in the Maruti Ertiga. Here is a complete variant-wise ex-showroom price list. 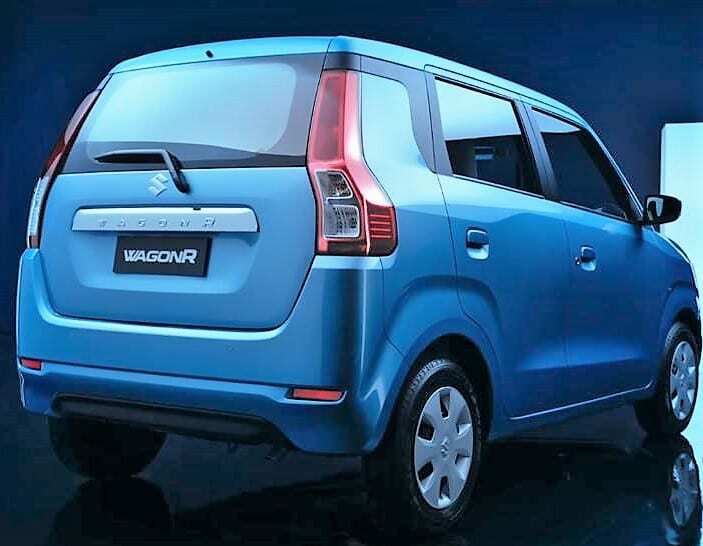 Maruti Suzuki WagonR is based on the HEARTECT platform for effective cost management. Also, the addition of high strength metals to improve the overall rigidity of the car is praiseworthy. The 1.0L, three-pot petrol engine on the car is good for 69 PS and 90 Nm of torque. 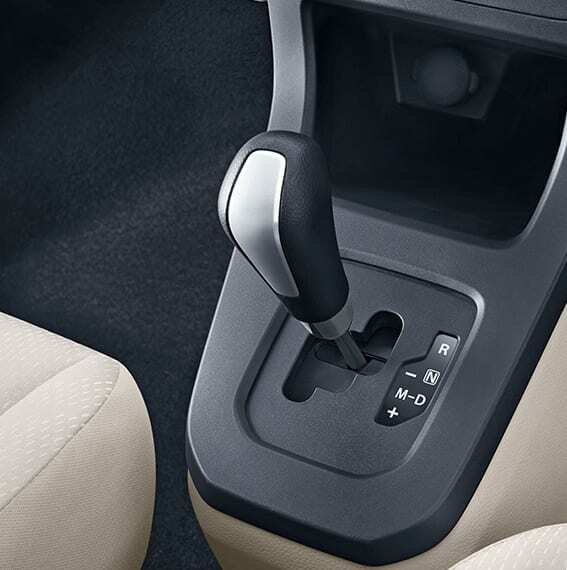 Those looking for more power will get the 1.2L engine. 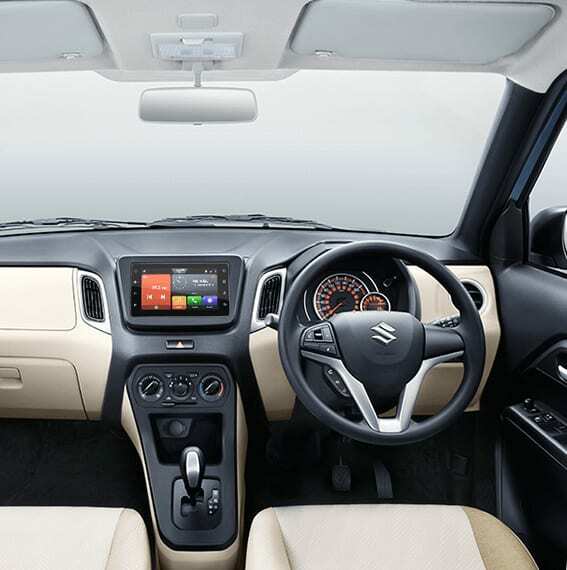 The addition of Maruti’s iconic Smartplay infotainment system (7-inch) as a segment-first feature is also equally impressive. The car has retained the price bracket to gain more buyers in the coming months. 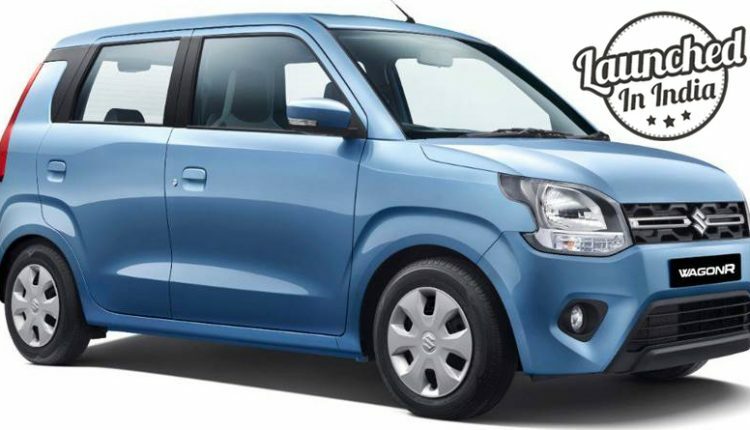 New Maruti WagonR is available in 7 different variants while colour options available here are Silky Silver, Magma Grey, Superior White, Autumn Orange, Brown, and Blue.